I came across this beautiful logo on Ameblo (Japanese blogging platform) the other day. I wanted to share it and the story written by a Japanese blogger. The blogger is from Kesenuma, one of the worst hit areas in Japan following the earthquake and tsunami. You can see the original here but I’ve included the text below. I almost cry every day very for joy. Though I do not strongly feel what world and oneself are related to, I am strong at all and, in the everyday life, just take in it from the back of this major earthquake. I designed the Japanese national flag “Japanese flag = HINOMARU “. 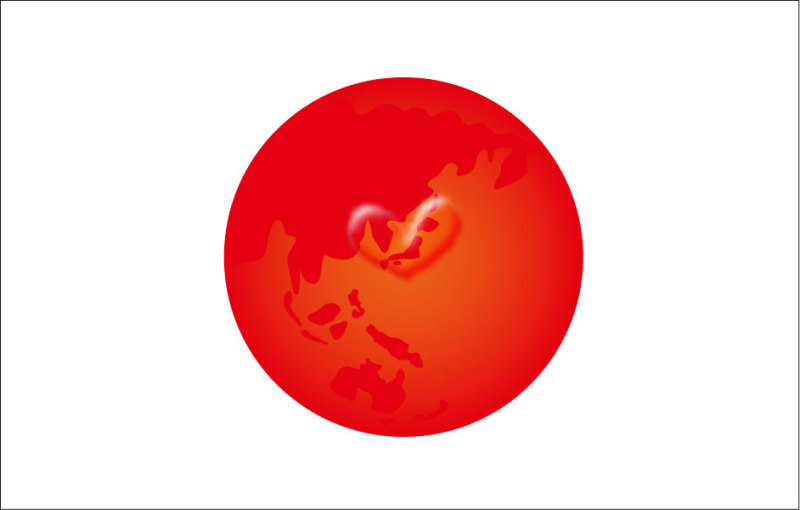 Japan attracts a lot of heart. For a lot of big love that arrived from the world, Japan is surrounded. Please use it for your freedom if I liked it. When I want an illustration of the big size including EPS, give me a message. I transmit a message by an E-mail. If English is wrong, I’m sorry. With all the love to all of you and.